There are hundreds of coaches and consultants professing that they are the one that can take your business to the next level. So, what makes my strategic business coaching different? Two words…my clients! They are REAL people with REAL results. You will have the opportunity to read a few of their raving reviews, but first let me share with you the top *7* record-breaking benefits of joining the ranks of my high-end, strategic business coaching clients. Benefit #1 – Build Value in Yourself and Increase Your Profits, Salary, Commission, Etc. To achieve the next level in your business, you must first build value in yourself. It takes confidence to build a successful business. If you don’t believe in yourself, your customers will have no reason to. My coaching will give you the confidence to not only build the business that you’ve always dreamed of, but also ask for the value that your product or service is truly worth. You cannot build a successful business in a chaotic environment. Your atmosphere will predict your results so if you live/work in chaos, then your bottom line results will reflect that chaos. Taking rock-solid daily action steps toward your goals will catapult your success. However, you must be consistent and scheduled. Being scheduled doesn’t mean that your life is managed on your fancy phone that beeps when it’s time for you to do something. It means that you have a plan in place that details your daily action steps, and you stick to it. When you commit to it and maximize your time like I’ve coached my clients to do, you will generate record-breaking results. What do your customers see when they enter your business and meet you for the first time? Like the old adage says, you only have one chance to make a first impression. Similarly, what do you do for your customers when they leave your business? The last impression is just as important as the first impression, because it’s the very last thing that your customer will remember about you. I can confidently say that when you meet my high-end coaching students, you will always remember them! They will not only create an unbelievable first impression, but the million dollar last impression will blow you away just like I coached them to do. After you absolutely shock your customer with your first and last impression, the next step is to follow-up. This doesn’t mean that you call them a month later or send them some type of impersonal postcard. Your follow-up campaigns must be personalized for each customer. Does this take time? Yes, but the time that you invest in consistently following up with your customers will create long-term relationships for years to come. Plus your customers will love the personalization and tell everyone about your business. One of the most critical parts of my coaching is to teach you how to develop a follow-up campaign that will create raving fans of your business and generate huge income that will last forever. Very few things in marketing irritate me more than “new customer” specials. What about your past customers? You know…the ones that have supported your business for years! If none, then we will work on generating new leads, but what I find out most of the time is that my coaching clients have lists of past customers that they never contact. We will focus on how to reactivate your past customers, serve those loyal customers, and provide them with nothing less than *5* star customer service. Let’s clear the air here. I focus on customer relationship building not brand building. Your customers don’t care about your new logo or your high tech website. They want to receive marketing pieces that tell them exactly why they should do business with you. Plus they want to know what makes you different from everyone else in your industry. My coaching clients are the cream of the crop and rise to the top of all other businesses in their niche. Why? Because they know exactly how to market to their customers and make offers based on what the client wants. That’s how you generate huge revenue and increase your bottom line. Despite what most salespeople think, making the sale is the first step in developing a long-term relationship with your customer not the last. Salespeople focus on making money and chasing leads. Marketers focus on building long-term client relationships and changing lives through their product or service. Your customers can tell if you are constantly trying to sell them or if you truly care about them. After your customer invests in your product or service, it is your responsibility to take care of them by providing nothing less than a standard of excellence with your customer service and follow-up. My clients are known for their extreme customer service and constantly improving their current systems so that their customers know they are valued. Your customers are the heartbeat of your business. Without them, you have no business so commit to serving them. You MUST be a nice person. I simply don’t want to coach nasty people. You MUST have an ethical product or service that you are passionate about. If you don’t believe in it, no one will. You MUST want to surround yourself with like-minded, success driven Champions. No slackers in my community! You MUST want it! I guarantee that my coaching will radically change your life and explode your business, but I can’t do it for you. If you aren’t committed to your own success, you will never achieve it. I believe in you, but do you believe in you? While it might seem annoying that I used the word MUST in all caps and red font, it’s important that I stress that all of those qualifications are an imperative requirement and necessity that are expected from my coaching students, required in order for them to move forward, and vital to their success. Is this you? If so, then let’s schedule your private and confidential, Strategic Business Assessment so that we can determine how my Coaching Programs can help you to build a rock-solid business and make more money than you’ve ever dreamed of. Call/Text (561) 847-3467 or Email Team@GiantGoals.com to Schedule Your FREE Strategic Business Assessment NOW – My Team is Here for You 24/7! "When I first met John Di Lemme, I wasn’t sure if I could trust him. Why? Because I spent thousands of dollars on other coaches with absolutely no results despite their promises. From the very beginning, John and his entire team stepped up to the plate and challenged me to push myself beyond what I thought was possible. My life has transformed, and my business has exploded. Before coaching with John, I only had 4 sales. Now, I have over 120 sales! That’s absolutely incredible! I’m so thankful and appreciative for what John has done for not only me, but also my entire family." From Selling 30 Homes a Year to Over 350! "John Di Lemme is not a real estate coach. He's a general practitioner who specializes in using old school principles that will catapult results for anyone, in any business or with any goal. 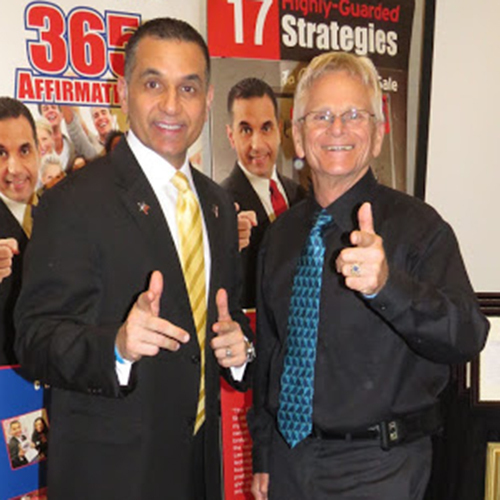 Since I started coaching with John, I went from selling just 30 homes a year to over 350 homes a year!" Busiest Year in 21 Years! 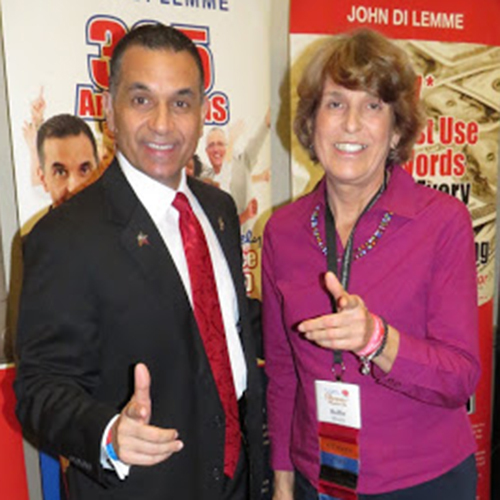 "John Di Lemme’s closing and marketing strategies have really changed my life, and ultimately the lives of my patients. My business has grown four times, and this year was my busiest year in 21 years! Plus I’ve written two books, and I’m currently developing my very own meal plans and have hired a professional chef to prepare the meals for my clients. It is just incredible!" My Business has Tripled & Quadrupled! 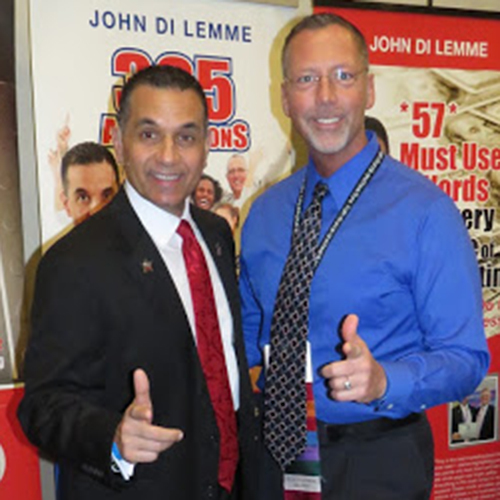 "I often tell people that John Di Lemme’s mentorship saved my life…it did! I can honestly say that my life was a mess, and my business was nearly nonexistent. Since I started coaching with John and immersing myself in his teachings, my life has radically changed! I love my life! Plus my business has tripled and at times quadrupled. Plus I’ve generated over 10 Million Dollars in business!" I Grew My #1 Asset…My Mind! "This event was one for the record books! I knew it was one NOT to be missed by what I gained exceeded my expectations. I've had two killer events in a row! I’m glad I got out of my comfort zone and attended LIVE events. I grew my #1 asset…my mind…exponentially this weekend! Thank you again John & Christie and team for all you do to set these events up." 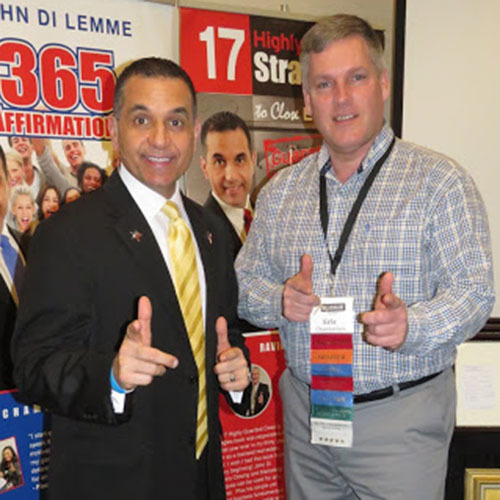 "What a difference a year of focused coaching with John Di Lemme made in my life. I can't even imagine my old life anymore, and I don't want to! I went from driving a delivery truck making a few hundred dollars per week and cutting $35 lawns to building my own million dollar business. John opened my mind to an unimaginable future!" "Four years ago I was lost, confused, frustrated, and didn't know what to do next in my business. Through John's teachings and mentorship he has taught me how to build my self-belief, self-confidence, and self-worthiness and to accept who I truly am which lays the foundation to implement strategic marketing. Plus I’ve earned the most income in my 9 years of my Oriental Medicine business as well as being in the best physical health in my life! John has built a caring, trusting, supportive, and safe community where we as his students can dream big and achieve our goals. 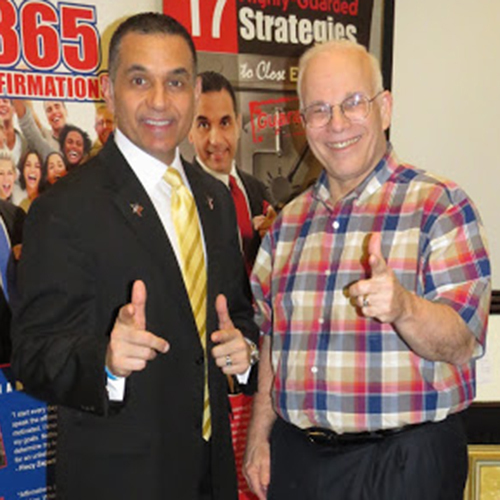 John is an enthusiastic motivator and a marketing genius!" 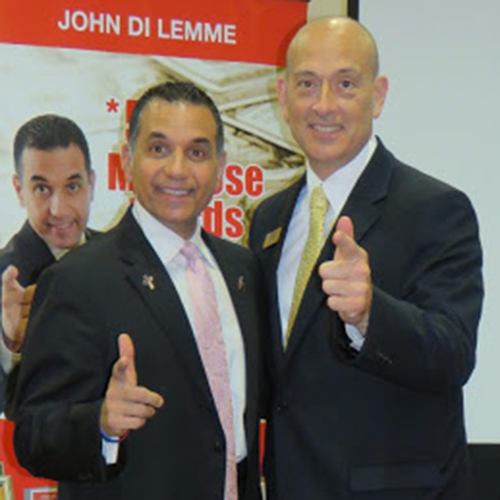 "John Di Lemme is the best business coach I have ever worked with. You cannot match the level of information, skill, and most of all integrity that you get with John. He will be tough when I need to hear it most and challenges me to be my best so that I can keep the edge that makes me the best in my profession. My income since I've been coaching with John has been the highest of my 40+ year career as a medical professional. I recommend John entirely and without any reservation." My Business is Up 5,000% and Growing! "I have been in direct selling for 20+ years. Before John Di Lemme’s coaching, I simply did not know what I was doing. I was working really hard, but I was stuck and struggling. 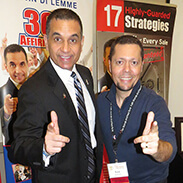 With Coach Di Lemme’s strategic mentorship, my business is up 5,000% and growing! PLUS I am more confident about myself and opening long-term, profitable, life-changing relationships every day." 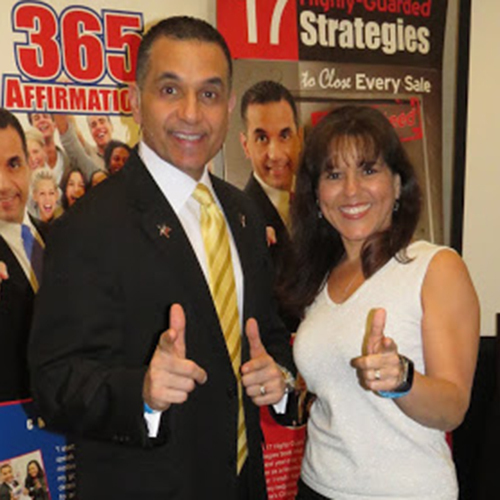 "Since I've been a coaching student and a member of the 17K Inner Circle Champion Mastermind Club, my results have been tremendous. John and his team are genuine and committed to my success. I've had the best month ever in my business, and we continue to improve and go for bigger goals. Having John as my Coach is the best decision of my life. You simply cannot be out there alone and expect to live out your full potential. Thank you Coach! It's next level time!" Are You My Next Raving Coaching Review? I Believe You Are! Call/Text (561) 847-3467 or Email Team@GiantGoals.com to Schedule Your FREE Strategic Business Assessment NOW!